As part of Open Access Week 2013, we co-hosted the event Open Access Futures in the Humanities and Social Sciences. The aim of the conference was to bring together a diverse range of voices within the wider community to examine and interrogate issues of openness, new horizons for adopting open access practices, and how best to achieve a beneficial transition to a more open future for humanities and social science research. 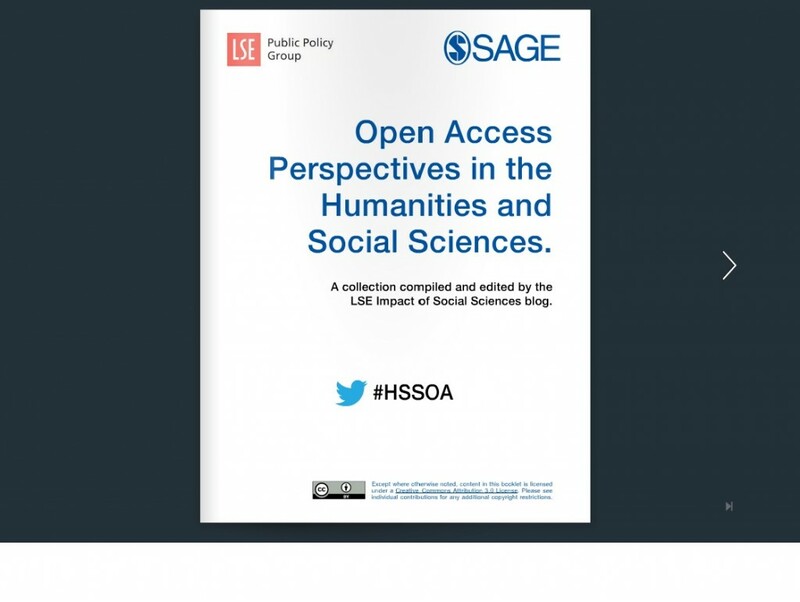 Focusing on the opportunities and challenges that open access presents for the humanities and social sciences, the conference provided stimulating contributions from all sides of the OA debate, with the goal of encouraging and shaping HSS-relevant engagement. Featuring panellists from academia, funders, publishers and learned societies, it addressed the foundational questions of ‘Why Open Access?’ and ‘What type of Open?’ before considering the potential benefits that OA could provide for HSS and the possible routes towards more open futures. Watch the full event on Youtube: Part One and Part Two. The Twitter conversation is compiled here, here and here. Panel 1: Why OA? Which OA? 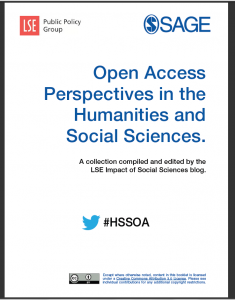 How well do the ideas behind open access fit with characteristics of HSS? What are the drivers, goals and costs of open access in HSS; is open access the only means of achieving those goals? What is the most appropriate model (or models) of open access for the HSS disciplines, especially in relation to the re-use of scholarly works? Afternoon Keynote: As HEFCE’s consultation on the role of open access in the next REF period comes to a close, their Director for Research, Innovation and Skills talks about HEFCE’s strategy in relation to the HSS subject areas. Where could open access take us in HSS? How might it bring positive change to established systems of peer review, research presentation, scholarly collaboration and data-sharing? What are the dangers of such shift in practice, and how might they be mitigated? What open access future(s) do we want for HSS and how do we get there? Do we want revolution or evolution, and how do we overcome the collective action problems that stand in the way of change? What are the roles in this process for the university, the learned society, the librarian, the funder, the publisher and the academic? Frederick Friend (UCL): How did the UK government manage to spoil something as good as open access? Many thanks to all who took part in the event yesterday, in person and online, and many thanks to the above contributors.